Today I want to encourage you toward the end of your season here. You may be wrapping up and getting ready for the playoffs, you may be ending your season getting ready to go to summer ball, or in high school getting ready to showcase. Whatever it is, whether you’re hitting well or whether you’re struggling, I want to give you some words of encouragement. This isn’t going to be very long. It’ll be nice and short, just to get to the point. 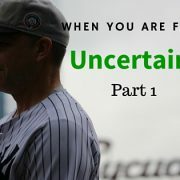 I want you to know that as a Major League baseball player, I made some transitions in my life because there were men who were Hall of Famers who came into my life and had a great effect in my life, transformed my life as a hitter because I began to see the big picture; I began to trust my natural abilities. When I began to trust my natural abilities and how my body naturally moved and how I learned my timing, I trusted my timing, then I learned how to hit. I learned how to zone. I learned how to do a whole bunch of things that I didn’t think I had the ability at one point. I want to just relate to you here for just a minute, and then I’m going to show something to you. 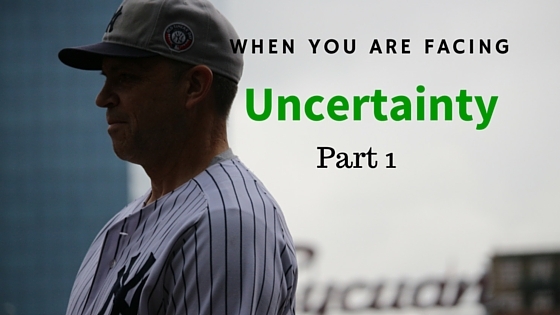 First, we’ve all been there with uncertainty. I know that you may be in a place right now where you feel uncertain. Maybe you’re just trying to hang on to your batting average, or maybe you’re in a hole. I’ve had players that have been in a hole. There was this one player. I won’t mention names, but he had 300 at bats. He was hitting 195 with six weeks left, with six or eight home runs and 20-something RBIs. He ended up with 111 RBIs and 31 home runs and brought his average up to 270. Anything can happen. He got player of the week four times, and having another guy got player of the week twice on the same team because we applied these types of principles. I want to give you some helpful hints … With very easily. Listen, I’ve been there, okay? First of all ( #1), I didn’t know where I was, when I was hitting. I felt like in my setup, in my stance, I didn’t know where I was coming from. I didn’t know where I had to begin from. Number two, I didn’t know where I was going. I didn’t know where I really wanted to make contact. I didn’t know that feeling of … I didn’t really know the position of the bat. It just seemed like a long way to get to the ball. I wasn’t really comfortable with how I was going to get to the ball. It seemed way too far. Number three is I had too much movement. I had a lot of extra movement. I had loops and I had to do way too much. I didn’t realize that that wasn’t the case. I didn’t know all the variables with my timing. Number Four, I didn’t understand all the variables. I didn’t understand that there were a lot of issues that are facing. We’re going to go over this, and I encourage you to ask questions. Go into the comments on Facebook. A lot of you are going to be watching this on a recording. I didn’t know all the variables and the timing. We’ll go over that. Number five, I missed a lot of pitches. I had pitches that I should’ve hit. I’d foul the ball straight back, and you know that feeling when you foul a ball straight back. You think, “Oh, I just missed it.” No, you didn’t. You caught up to it. You might’ve caught up to it, but you didn’t just miss it. You get to the big league level and you foul a ball off and you think you did really good, and you look in the dugout and you’re thinking everyone’s going to go, “Oh, that was a great swing.” No one’s going to be looking at you because you didn’t hit it. You got to hit the ball hard. I wanted to give you a little encouragement of what you can do, what can happen. Go here now to find out how I reversed this. ( And how you can too).